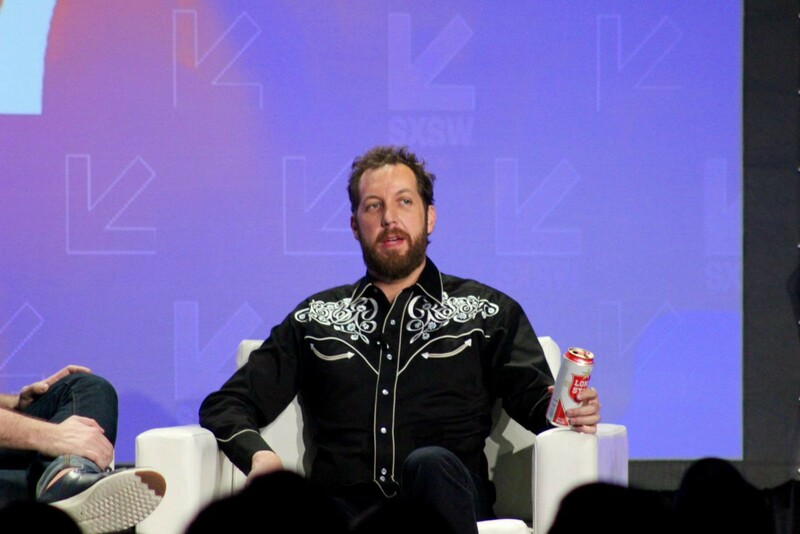 Missed SXSW Interactive 2017? Never fear! Here’s a quick run down of some of the highlights from the Trade Show and sessions. For those unfamiliar with South By South West (SXSW), it’s a huge 11 day festival/conference that happens each March in Austin, Texas. It originally started with a focus on showcasing live music but has since expanded to include tech (referred to as Interactive in the program), film, gaming, and comedy. Before arriving in the U.S I’d heard a LOT of about SXSW from friends working in tech in Australia and the U.S. Everyone who’d attended recalled stories of back to back parties with free flowing drinks, food, and live music along with amazing conference sessions covering emerging technology trends. Wind forward to March 2017 and I’ve recently wrapped up an exhilarating and exhausting past 2 weeks in Austin, Texas, attending every last session, event, and party that I could make it to. I’ll save the details of the experience of being a newbie at SXSW for another post but for now I’m going to get straight into the key observations and insights from the tech part of the event. 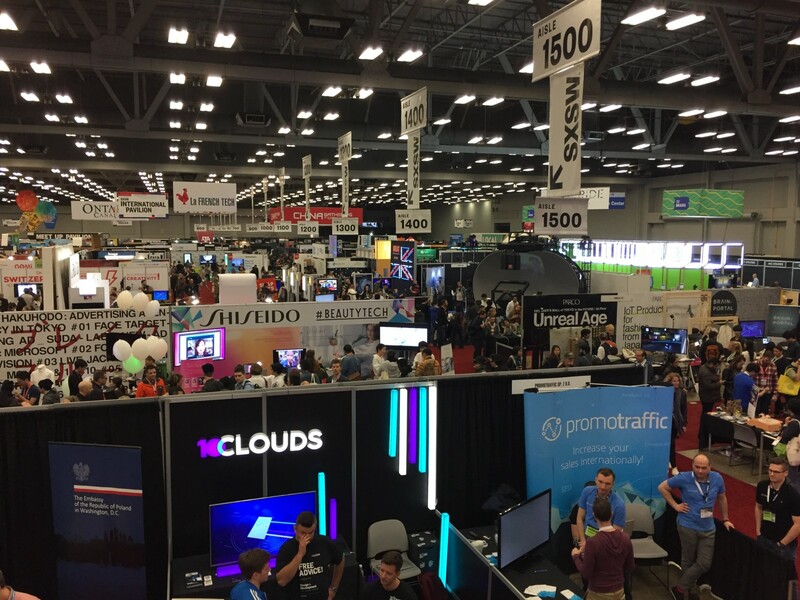 I’m going to break each of these areas down and reference some specific examples I saw at SXSW, particularly on the floor of the massive Trade Show with over 300 exhibitors. The VR/AR content at SXSW was really impressive and extensive. 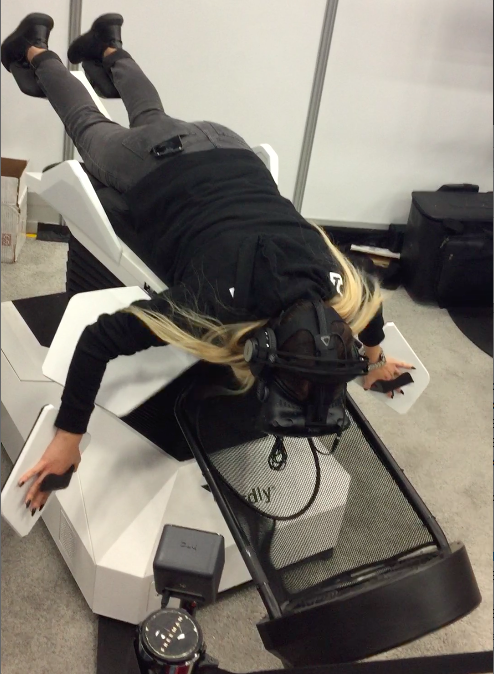 I had VR fatigue by the time I got towards the end of the 320+ exhibitors in the exhibition hall. It definitely left me feeling that we really are on the verge of a big shift in how humans interface with technology and consume media. As with any major shift in technology this comes loaded with new business opportunities and so I was interested to deep dive into this area. 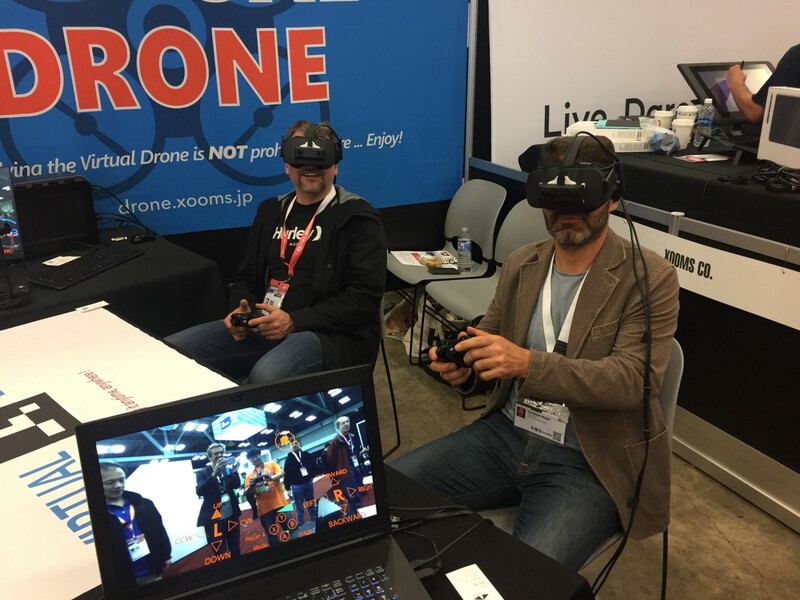 First up was the Virtual Drone exhibit, which a fairly unassuming Japanese company, Xooms, had developed and was showcasing in the exhibition hall. Here you could fly a virtual 3D drone around the hall and shoot at objects that would explode in the air around you. 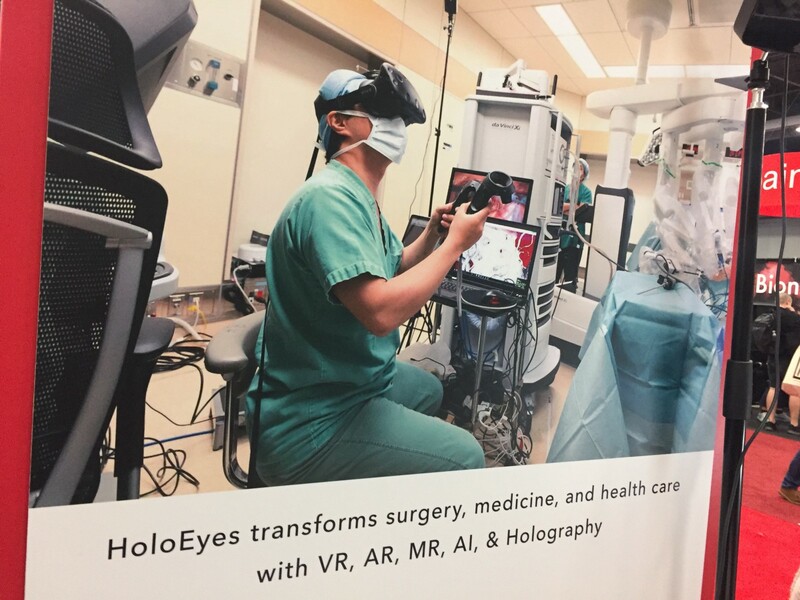 This worked by fixing stereo cameras to the external casing of the VR headsets (look closely at the photo below) and then combining the virtual overlay with the video feed of the real world environment creating a pretty seamless mixed reality experience. The thing that’s surprising about all this is that a U.S company called Magic Leap raised USD$1.4B off of the back of a special effects video which implied they had already built similar tech. We’ve all since discovered they’re far from it. Meanwhile Xooms has got on with building it. Something tells me the guys at Xooms deserve much greater attention in the Valley! Next up was Birdly, an awesome bit of kit which allows you to have a fully immersive experience flying over New York City and the Swiss Alps. You flap the wings to fly higher (the whole things lifts up hydraulically when you do this) and you can do some amazing sharp manoeuvres turning on each direction and diving down (in particular by using the sections connected to your hands at the end of the wings) where the fan in front of you speeds up to simulate the air rushing past your face. After flying for about 3 minutes and then taking off the headset it felt like waking up suddenly from a dream. I walked around, no doubt looking very stunned, afterwards as my mind snapped back to the real world. The guy exhibiting Birdly explained that their focus currently is to get these into science and technology museums across the U.S and beyond and I can see this being a massive hit when they do. The adults will probably be elbowing out the kids to get a turn. It’s really the non-gaming applications for VR that I think open up all kinds of new possibilities. One that I thought was a no brainer was for use in medical imaging, allowing doctors to walk through the contents of 3D scans before, or during surgery. It was pretty amazing spinning around, zooming in on, and walking around a scan of a patient’s upper torso showing all of their organs and bone structure in 3D. Next up was a VR walk through of a 3D model of a house created from the CAD design files used for construction. I find this a bit of another no-brainer application for VR, particularly for high-rise apartment (or condos as they call them here) developers selling off the plan. It can only enhance the sales process to allow potential customers to walk through their future apartment before making a purchase decision. This includes showing them the all important views they will see from outside the windows of the apartment. One key thing I discovered with this demo though was how much of a problem nauseousness is for users if the implementation isn’t done correctly. For this demo I sat on a couch and was given an Xbox controller to navigate my way around the house. This was fine for the first 3–4 minutes but I became very nauseous after that and I’m not someone who gets travel sick. My key observation on this is it’s a big no-no in VR to allow a user to navigate around without simulating physical movement within their environment otherwise you will have one very ill user! Another VR demo that stuck in my mind was on the Indonesia stand where I experienced watching a horror film in VR where I was the victim. Very weird and makes me worry a bit about the level of immersive-ness in VR has the potential to mess up already messed up people even more. Given the proliferation of guns in the U.S and regular occurrences of mass shootings here that’s a very scary prospect when you have fully immersive first person shooting games. 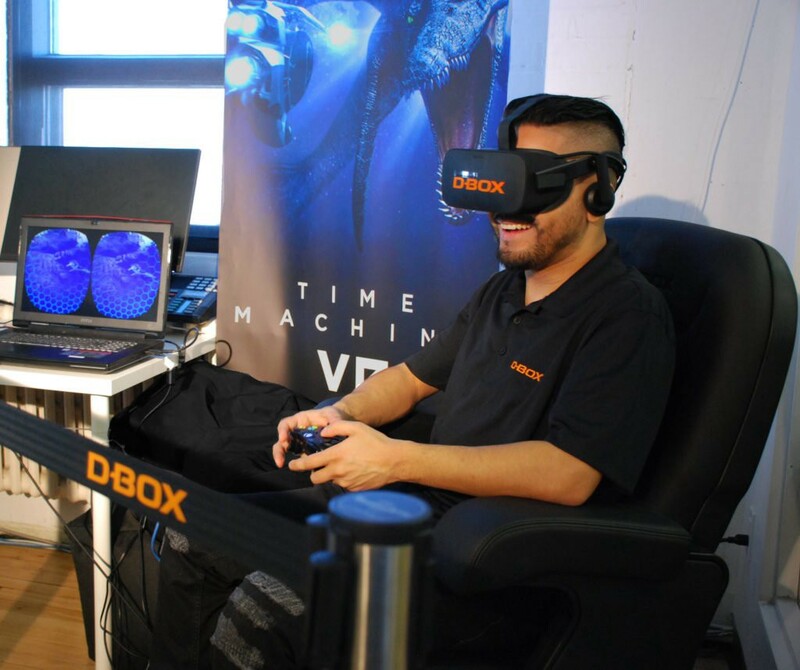 The last VR experience worth a mention was one that involved a D-Box Interactive armchair with vibrations, and movement fitted into it which was being demonstrated by Minority Media from Quebec. In their app I was in an underwater submarine/pod navigating my way through the ocean as turtles and whales cruised past. It was again a very immersive experience and pretty cool. Whilst there wasn’t as much to see around AI on the trade show floor there was definitely a lot of AI related sessions as part of the conference content. I didn’t sit in on a whole lot of these but I did sit in on enough to make one observation and that is that the term AI is being misused far too much in tech at the moment. It’s similar to what we all saw a few years ago with on-demand where so many Founders jumped on the ‘Uber for X’ bandwagon. Just to be clear to anyone reading this that is throwing the term AI around in their pitch deck…. your algorithm is not AI. True AI is something I believe we’re still a long way off achieving. What we’re currently seeing is increasingly complex algorithms able to process huge amounts of data much faster thanks to improvements in computing power, data retrieval, and interconnectivity. This is creating some exciting applications such as driverless cars but lets not kid ourselves that some kind of Skynet, fully self aware AI is within reach anytime soon and investors and talent, please stay alert for Founders calling their algorithms AI. It was great to see a big emphasis on this topic through many of the sessions and keynote speakers. There’s no doubt that Susan Fowler’s blog post on her experience at Uber sent shockwaves through the tech community in the U.S. Kudos to the SXSW organisers for actively working on greater diversity on the panel sessions and speakers throughout the event. As a judge I had to fill in the online form for speakers and it was clear they were ensuring they were capturing the data required to be able to mandate diversity on the panels. There were too many events and sessions focussed around diversity to list here but it’s an issue that got the focus it deserved and hopefully this will translate into changes in hiring and HR practices in tech. There are far too many fellow white dudes at the tech events I’ve been going along to and companies I’ve been visiting! Full credit to Chris Sacca (Angel investor in Uber, Twitter, and Shark on the U.S Shark Tank) as well who addressed this question really well in his keynote speech at the event. The audience was very keen to hear his views on Susan’s blog and the changes needed at Uber (it was the highest voted question via the online question platform used for the session). I had a bit of a skewed view of Chris after reading about his antics as an early investor in Uber but he did a good job at spelling at the fundamental changes required in the culture within Uber. I was also impressed that he acknowledged straight up that him and Kalanick are no longer on speaking terms and didn’t try to make it sound he had any more influence over how the company is being run than he actually does (although I’m sure the distance between himself and the company suits him now). For me this was one of the most important issues that I really wanted to see being discussed and debated at the event. Like, I’m sure, pretty much all of you reading this post, I was horrified at Trump’s election and was completely blindsided by it. I personally believe that the interaction between social media algorithms and Fake news sites (the Breitbart type, not the Trump type) has a lot to answer for Trump’s electoral success. The social media companies must take ownership of this and actively work to fix it. Shout out to Claire Woodcock for her excellent session titled ‘Echo Chambers. Healing our Social Media Algorithms’ which detailed some very practical, and well thought out changes that can be made at the likes of Facebook and Twitter to address this issue. You can read one of Claire’s articles here in the Huffington Post on the topic. I really hope Zuckerberg is paying attention to what she’s saying. OK. That’s it for now. Over and out. Stayed tuned for more write ups on being a newbie at SXSW and please post any questions or feedback in the comments below.